Is there such a thing as an ideal retirement? A few weeks ago, a friend of mine, a Boston Red Sox fan (don't ask), posted an article to her Facebook page, one that savagely took Derek Jeter to task. His primary sin? The announcement that 2014 would be his "retirement year" thus triggering a season's worth of tributes, farewells and sappy goodbyes. I am a New York Yankees fan, and I admire Jeter tremendously, but I was only too happy to - treacherously, given my company - join in this critique of his retirement plans. Extended farewells like these are a nuisance. 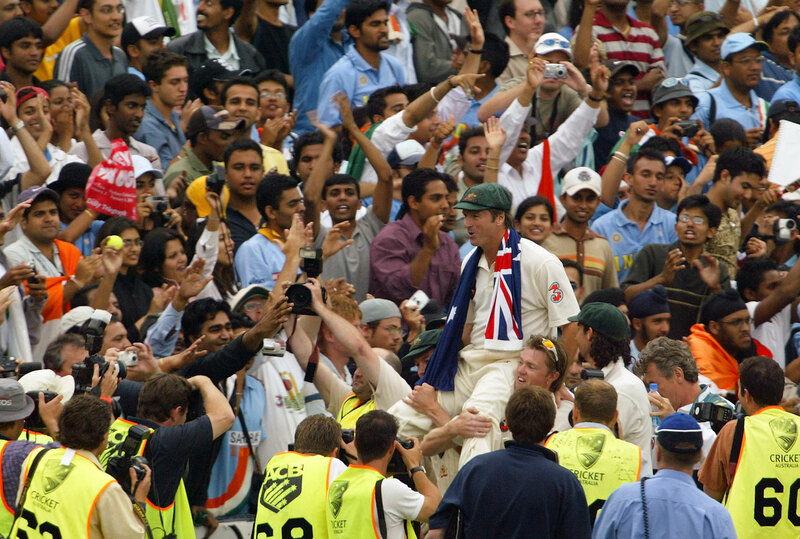 During the southern summer of 2003-04, as India toured Australia for a four-Test series that would eventually be drawn 1-1, cricket fans all over Australia were treated to the Steve Waugh farewell tour, for the Australian captain had announced his retirement from Test cricket at the commencement of the series. There were standing ovations, red handkerchiefs waved from all corners of all grounds, and there were many (oh, so many) tuneless tribute songs belted out lustily from the stands, the vocal chords of choirs suitably fuelled by dozens of alcoholic libations. Australia loves its cricketing heroes, but even there, I could sense, by the end of the series, a little impatience at the retirement strategy the normally hard-headed Waugh had adopted. He seemed to have hijacked the summer's cricketing narrative; and besides, how many standing ovations for one man could you, er, stand? It never gets easier. Sometimes cricketers retire too inconspicuously, not allowing for a send-off commensurate with their careers. Many Indian fans still wish Rahul Dravid and VVS Laxman could have been given a proper farewell, an ovation for the ages, ringing around the rafters of one of India's mammoth cricket stadiums, the devotion and passion of the fans who underwrote their careers visible for all to see. Is there an ideal retirement? Some say yes: retire when you are asked why and not why not? Retire at the "top of your game"; retire on "a winning note". The great Australians - Warne, McGrath, Hayden and Langer most recently, and before them Chappell, Lillee and Marsh - have shown some accomplishment in this domain, and will continue to set the benchmark here for some time to come. Let me offer my own personal variant of the ideal retirement, a fantasy concocted - just like those World XIs - to amuse ourselves with. In my tale, the hero makes his announcement on the fourth day of the final Test of the series; he has known for some time that his retirement was nigh, but the events of the current series have convinced him the time has come. He calls a press conference, reads a prepared statement that concludes with him saying that he will answer all further questions pertaining to his retirement after the Test and series are over. The next day, the fifth of the Test, is his: he will receive his standing ovations, from the crowd, from his opponents, or from his own team, whenever the opportunity presents itself: perhaps when he walks out to bat, perhaps when he accompanies his team out to the middle for fielding, and when he leaves the ground for one last time. And that will be that. My personal preferences, in many domains, tend to the austere, so perhaps it's not too surprising that I should have cooked up such a retirement scenario. It does not adequately address the problem of the reluctant sports star, unwilling to drag himself off the stage, but it certainly attempts to get the applause, the farewell, the acknowledgments, the send-off, just right. Your mileage may vary; feel free to construct your own. The ideal retirement is, of course, really a matter of taste. It's hard to satisfy the many competing desiderata of fans, journalists, one's family and personal drives and ambitions. This shouldn't be surprising; the decision to quit is an acutely difficult one. It trips up romantic relationships, mountaineers heading for summits and those reading difficult books. "Should I stay or should I go?" has never elicited a straightforward answer.